There are tons of free responsive WordPress themes out there that you can download for your website. But, how do you find the best one from that long list? It will take you a life’s time if you are going to compare and contrast each theme on the list. Hence, here is a much shorter, easier and practical solution towards your goal- reading this entire article. This article has listed only the best free responsive WordPress themes after careful analysis of all of its features to make things simpler for you. Thus, make use of this information and choose only the best. 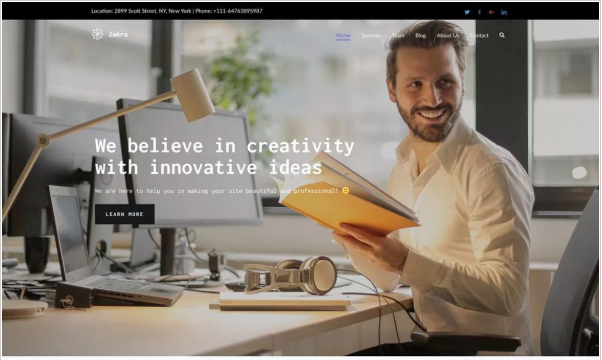 This free responsive WordPress theme is a perfect choice for building websites for small businesses, startups, corporate businesses, creative businesses, eCommerce stores, etc. It offers full compatibility with Elementor, which is one of the best page builder plugins available so far that is capable of giving you greater control over the theme’s customization. This theme is also compatible with Flat Parallax Slider, Photo Gallery, and Travel Map, etc. In addition to that, it also provides support for WPML and SEO. 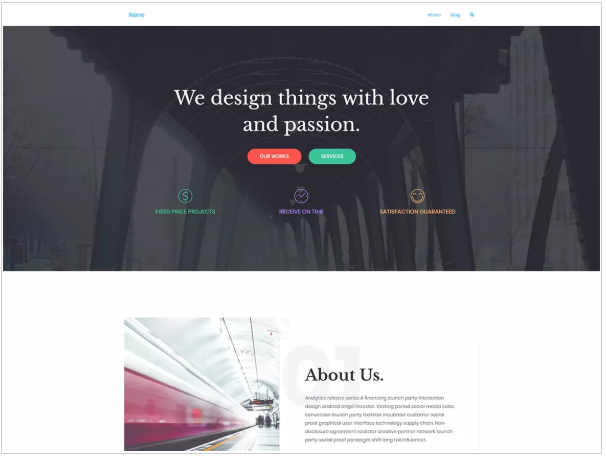 Neve is a multi-purpose free responsive WordPress theme you can build your blogs, online stores, agencies, firms, personal portfolio sites, etc with. 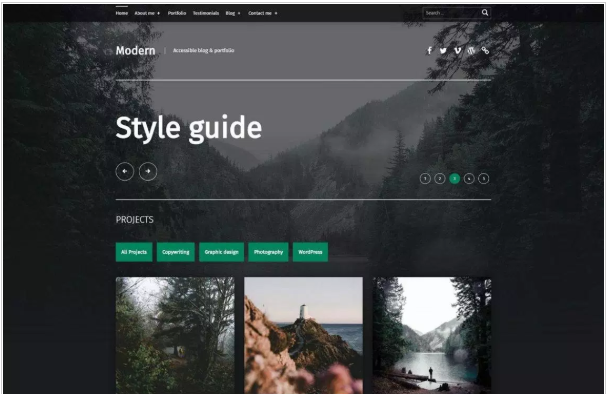 This modern theme offers compatibility to Gutenberg and most of the popular page builder plugins like Elementor, Brizy, Beaver Builder, Visual Composer, SiteOrigin, and Divi. This free responsive WordPress theme is highly optimized for AMP and SEO to give the best results for your website in Google rankings. 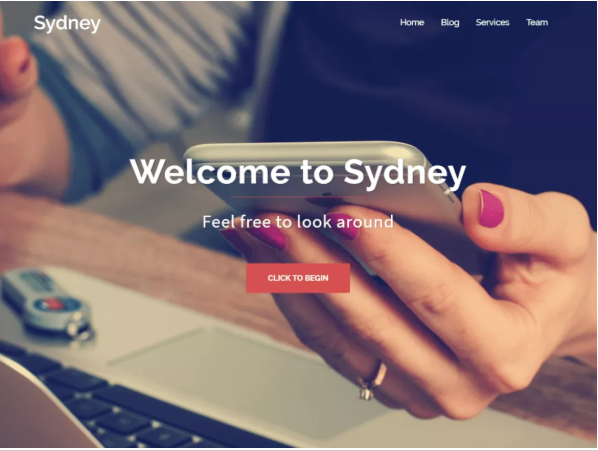 Sydney is one of the most downloaded free responsive WordPress themes you can rely on for building awesome looking websites for your blogs, creative websites, freelancing, portfolios, etc. The most stunning feature offered by this theme is its endless customization possibilities which enables you to create a website of your imaginations. The highly useful customization options in Sydney include full-color control, access to all Google Fonts, layout control, sticky navigation, full-screen slider, header image, logo upload, and plenty more. Zakra is a highly responsive free multi-purpose WordPress theme to build a professional looking website. This theme supports Elementor and other major page builders and is compatible with Gutenberg. Zakra is optimized for SEO and speed thereby ensuring better results with Google. 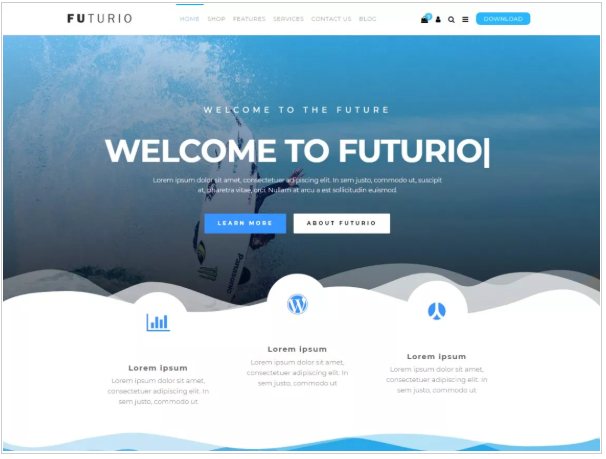 Futurio is a free WordPress theme you can use to build a wide variety of sites including blogs, photography sites, eCommerce shops, landing pages, portfolios, etc. It is compatible with all major page builder plugins including Elementor, Beaver Builder, King Composer, Brizy, Visual Composer, SiteOrigin, Divi and Gutenberg. This lightweight and speed optimized theme gives your website a faster loading experience. This theme is best for business, landing page, portfolio, e-commerce, store, local business, and personal websites. 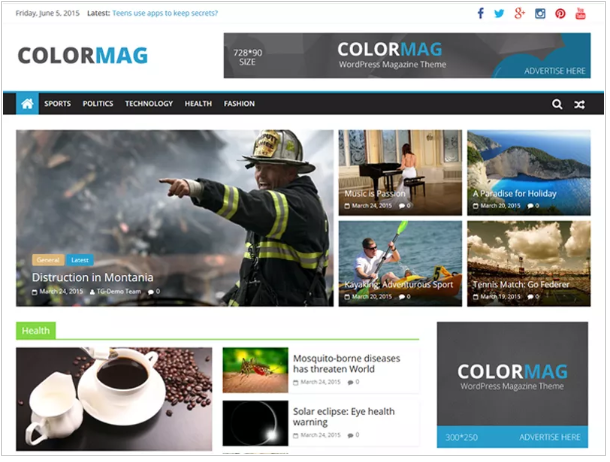 ColorMag is a very popular feature-rich WordPress theme that is best suited for news, newspaper, magazine, and blogging kind of sites. Since this theme is highly compatible with the WooCommerce plugin, building eCommerce store is an easy task as well. This theme comes with 6 social icons for ensuring easy social connectivity of your website. Its boxed and wide layout options, 15 widget areas, 5 custom widgets (advertisement, breaking news, category slider, featured posts, highlighted posts), etc allows you to customize your website to a great extent. Flash is a multipurpose WordPress theme with tons of features that you would love to have on your website. The Flash toolkit plugin that comes with this theme help you create different sections on your site to give it a professional look. Flash offers you 6 widget areas and 18 custom widgets with which you can create any kind of website you need. Its drag and drop page builder makes theme customization further easy for you. Besides that, the live customizer gives you more control over the customization process. Most popular social icons are included within this theme and it is optimized for speed and SEO. OnePress is a free responsive one-page WordPress theme that is perfect for business website, portfolio, digital agency, product showcase, and freelancer websites, etc. It comes with custom content blocks that showcase your company info, services, clients, videos, gallery, latest posts from the blog, contact form, etc. Parallax background effects allow your users to view your site’s content in parallax scrolling sections. Its built-in theme customizer lets you have a fun experience with this theme’s customization. Phlox is a modern WordPress theme that’s been recommended by the Elementor page builder plugin. It is best suited for blogs, portfolio, business, agency, news & magazine, food & restaurant, travel, and photography websites. 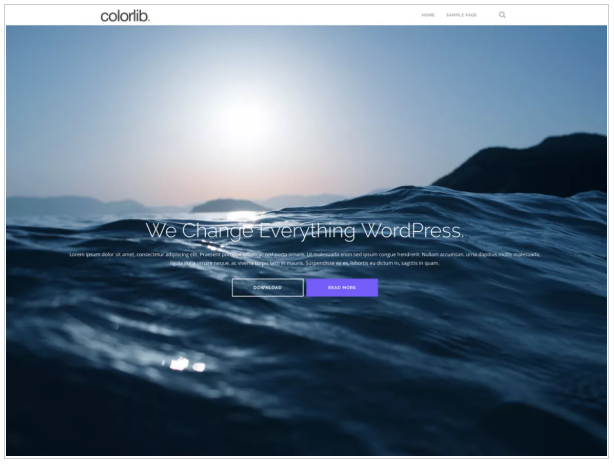 Modern theme works perfectly for blog and portfolio websites made with WordPress. Its fully responsive design will be a treat for your users’ eyes on all sizes of screens. This SEO-friendly theme is built using the secure, optimized, translation-ready code. Its home page consists of blog posts section, portfolio section, and testimonials section that is fully customizable to match your choice. This accessibility-ready theme makes your website accessible and readable to a wide audience. Its one-click demo import feature lets you set-up a website in a few minutes. 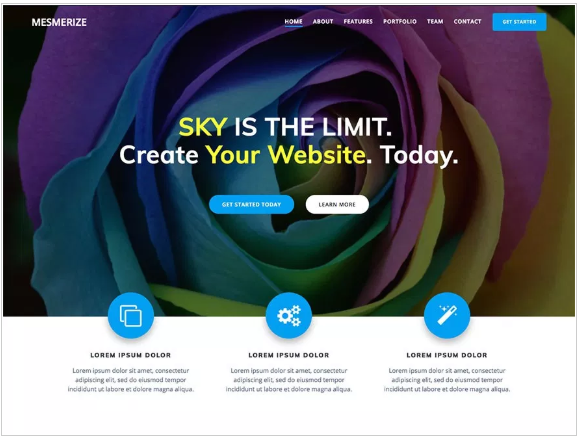 With the Mesmerize theme, you will have an awesome experience creating your website. 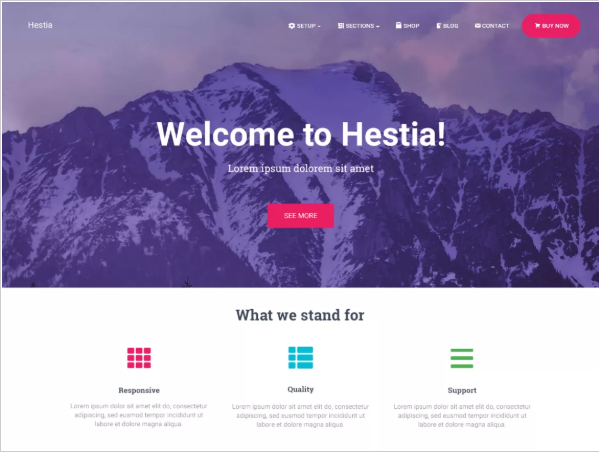 It is a very flexible theme that let you combine various design options to build unique websites. 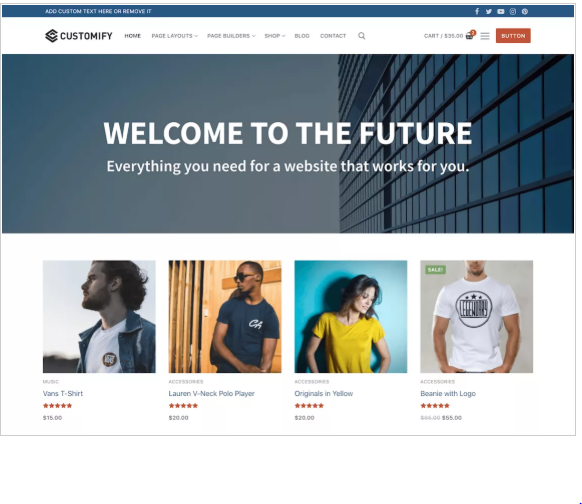 This theme is WooCommerce ready with predesigned pages (product list, product details, cart, checkout, user account, etc) for your WooCommerce shop. Also Read: Shopify V/S WooCommerce: Which is the Best Platform for Your eCommerce Store? Intuitive content sections that come with this theme can be added to your sites the pages in just a single click. Layouts are highly customizable to match your vision. Mesmerize allows you to give your website a modern look by adding video and slideshow backgrounds to it. You can make your website icon rich by choosing them from the FontAwesome icon library that is available within the theme. GeneratePress is one of the best free responsive WordPress theme out there. This performance focused theme ensures great speed, security, and usability to your website. This lightweight theme (less than 30kb) doesn’t compromise on its speed. 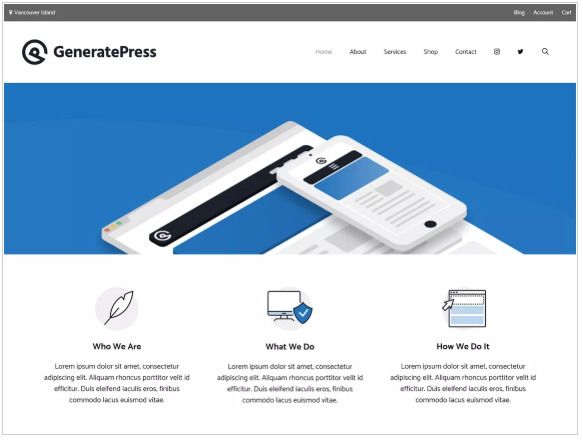 GeneratePress is a search engine optimized theme along with its translation and RTL support. Most of the free and premium WordPress plugins are compatible with this theme. If you have one favorite page builder in mind think no further since GeneratePress is compatible with all of them. Apart from all the above features, you can avail great customization of theme colors and typography directly in the customizer. Its layout control feature extends you with customization of padding, margins, sidebar layouts and much more. Customify will give you a flexible and brand new experience with creating your WordPress website. It comes with dozens of pre-made websites that are ready to be imported so you can set up your website in no time. Its easily customizable header and footer provide you with a great user experience for your website. Any page builder works perfectly fine with this theme. This lightweight theme has got great speed and it is optimized for SEO. 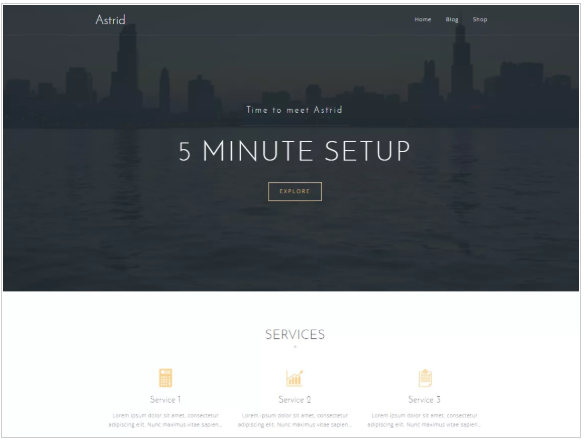 Astrid theme is a powerful choice to create your WordPress website. It has got all the features you need to create an awesome website. The full-width header image that comes with this theme is customizable according to your preference. 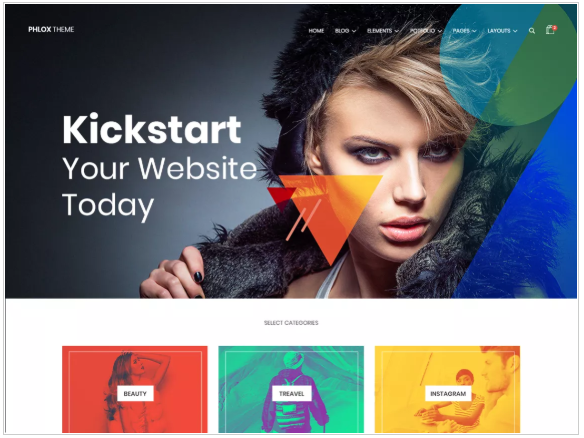 With this theme, you will get the support of built-in widgets and their page building system to build an impressive business website. This translation ready theme offers great cross-browser support for major browsers such as Chrome, Firefox, IE9+, and Opera, etc. Its live customizer makes customization so effortless by showing a live preview of its changes. 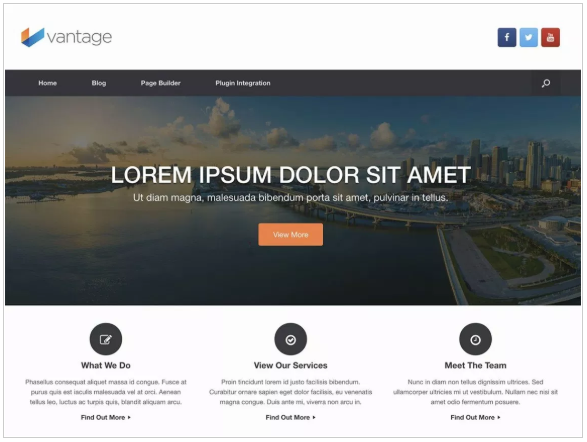 Vantage is a beautiful free WordPress theme with responsive page layouts and greater flexibility. This theme lets you combine boxed and full-width website layouts with multiple logo positions and three menu alignment options to give flexibility for your header design. Vantage theme has built-in Google font elements that let you choose as you wish. Multiple headers, widget bundles, CSS editor, retina support, are additional features offered by this theme. Each website requires different functionalities for ensuring its fine performance. An eCommerce website requires higher optimization, responsiveness, and speed over the rest of its features while a non-eCommerce website requires attractive, engaging content along with a great design. Hence, while choosing a theme you should choose the one that gives priority to features which are inevitable for your website.